Add a touch of colour with neon bracelets. Draw attention wherever you wear them: They are great to match with various carnival and Halloween costumes, go well with outfits for concerts and festivals. Birthday kids of all ages also have fun with colorful neon bracelets. 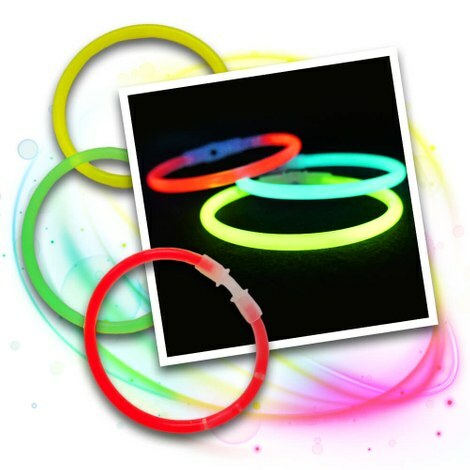 Our neon bracelets are ideal for every neon party or 80s party, they look great both in blacklight and daylight! 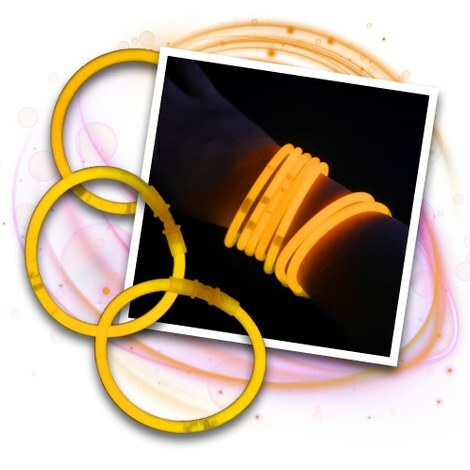 Glow bracelets are particularly popular for large events. Available in various colours, they are perfect for flirt parties or to distinguish groups of people. 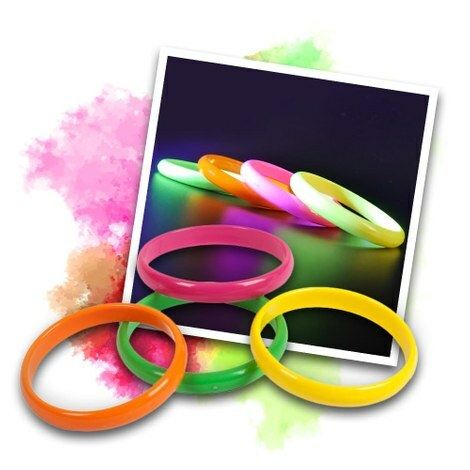 Several bracelets create breathtaking effects when dancing or waving your arms. Give a try to this glowing casual look!